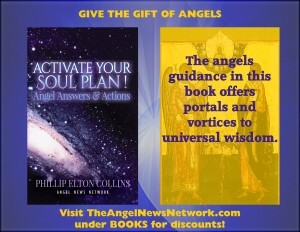 Did you know you come to Earth with a divine soul plan (your purpose in being here) within each lifetime, and it is up to you to choose or not, through your freedom of will and choice, to activate it? 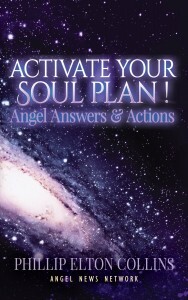 This entire endeavor called Activate Your Soul Plan! Angel Answers and Actions is a loving tool to assist you in activating your divine soul plan. You each have been carrying your soul plan within your heart for many, many lifetimes. Sometimes you activated part of it and sometimes not. Now you are being given a unique opportunity to activate more of your soul plan than ever before through something called ascension (moving into a higher frequency of existence). The answers to questions humanity has had for millennia are gifted within this endeavor, as well as a call to action giving you a foundation to be who you are and know why you are here. The veil of untruth has been pervasive throughout most of mankind’s recorded history. It is time for us to know as much of the truth as we can comprehend. This truth will set us free from all that has kept us in lack, limitation, and duality. Much of the truth has been forgotten or dumbed down within us for various reasons. The guidance here offers portals and vortices to universal wisdoms to assist us in creating communities of equality, harmony, and balance; all this reflects our relationship with self. We are so much more than we ever imagined. Fear of our power and divinity has kept this knowledge from us. Now we are learning how to access our knowing hearts where all this knowledge is stored, so that we might gain all the wisdom we need to be the divine beings we are. Take a deep breath and connect with your heart now. We are creations of an unlimited universe filled with ever-expanding possibilities and probabilities. It is time to regain our knowledge of who we are and to use our talents and gifts to become the master teachers and star travelers we were created to be. We are spokes on the wheel that the universe moves upon. By expressing our truth, stating our needs, and setting our boundaries, we power this wheel. Each spoke of the wheel represents our divine soul plans activated. Be your message each day. Create peace and joy. Do your best in each moment. As we change and heal ourselves, we shall change and heal our world, manifesting our final golden age of We Consciousness/Oneness and our immortal/eternal life. A full range of human issues/elements is discussed within these activation tools. I received these teachings within a short period of time and share them with you now. 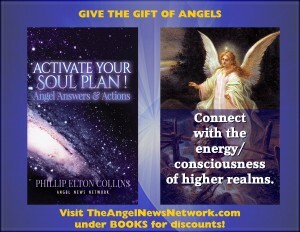 Whether you read them in order or randomly, you will receive what you will need to activate your soul plan. Each chapter concludes with a poem I wrote in Sacred Poetry and Mystical Messages. These poems are intended to be a deeper interactivity that will also support you. Most of all enjoy the journey; it is not just about the destination. The Light of Source never fails in supporting the activation of our soul plans.